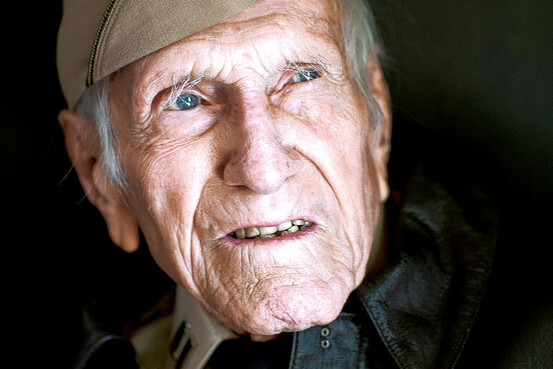 Louis Zamperini, who died this year at age 97, was a consultant on the making of Unbroken, the story of his life. I saw it last night. Excellent. It may have some inaccurate details, but it's much better than the usual Hollywood treatment of history. I was especially impressed by the aerial combat scenes, which seemed quite realistic to me. The picture is well directed by Angelina Jolie, and the actors are good. Takamasa Ishihara is excellent as the psycho villain. I know we have quite a few folks here who are into WWII history, war planes, etc. Because of the aerial combat, I think you want to see this one on the big screen. We enjoyed it but i have to wonder if some of the more brutal treatment was left out?? Bud. CBS found and interviewed the Bird in 1998. The SOB was not repentant. If you see the original footage of Zamperini's trip of forgiveness to his captors, watch their eyes: they showed anger and hatred. Louis was named Grand Marshall of the 2015 Rose Parade just a month before his death. Watch for a big tribute on Thurs. The city of Torrance renamed their airport Zamperini Field several years ago. They were shocked when he showed up for the dedication, as they thought he was long dead. Like Ricks, I expect to see the movie this week. I think that seeing this movie is the least one can do to show they care about one of the Greatest Generation. I read a recommendation about the movie and I'm looking forward to seeing it soon. They are called the greatest generation for good reason! Thanks to all the veterans and especially those from WWII. I just read the book ''Unbroken''. What an amazing man! I hope the movie doesn't disappoint. Netflix has a British series called World War two: The Last Heroes. The D Day battles through France and into Berlin. Much original footage with interviews from the men who fought. 2011 i believe. I saw the movie yesterday and it was very well done! And if you want to learn more about this incredible man - read the book! I talked to Pat Macha, www.aircraftwrecks.com , at Old Bold Pilots this morning. He had 3 extensive conversations with Zamperini over the last 9 years. He loved to talk about running. The thing that scared him most when they were adrift was not the sharks in daylight, but the Great Whites that bumped the raft repeatedly through the night. The Bird was hidden in the mountains until the ten year agreement with Japan expired, so we were no longer able to prosecute him. They're unhappy with the movie. They haven't changed.